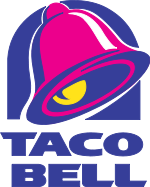 Taco Bell was founded by Glen Bell who first opened a hot dog stand called Bell’s Drive-In in San Bernardino, California in 1946 when he was 23 years old. Six years later, he sold the stand and opened a new one two years later, this time selling tacos under the name of Taco-Tia. Over the next few years Bell owned and operated a number of restaurants in southern California including four called El Taco. Bell sold the El Tacos to his partner and built the first Taco Bell in Downey in 1962. In 1962, he sold Taco-Tia. Kermit Becky, a former Los Angeles police officer, bought the first Taco Bell franchise from Glen Bell in 1964, and located it in Torrance. The company grew rapidly, and by 1967, the 100th restaurant opened at 400 South Brookhurst in Anaheim. In 1970, Taco Bell went public with 325 restaurants. In 1978, PepsiCo purchased Taco Bell from Glen Bell. n 2007, Taco Bell offered the “Steal a Base, Steal a Taco” promotion—if any player from either team stole a base in the 2007 World Series the company would give away free tacos to everyone in the United States in a campaign similar to the Mir promotion, albeit with a much higher likelihood of being realized. After Jacoby Ellsbury of the Boston Red Sox stole a base in Game 2, the company paid out this promotion on October 30, 2007. This promotion was used again in the 2008 World Series, when Jason Bartlett of the Tampa Bay Rays stole a base during Game 1 at Tropicana Field, which was paid out on October 28, 2008. The offer was again valid for the 2012 World Series. Taco Bell sponsors a promotion at home games for both the Portland Trail Blazers and the Cleveland Cavaliers in which everyone in attendance receives a coupon for a free Chalupa if the home team scores 100 points or more. In 2009, Taco Bell introduced a music video style commercial entitled, “It’s all about the Roosevelts” composed and produced by Danny de Matos at his studio for Amber Music on behalf of DraftFCB Agency. Featuring Varsity Fanclub’s Bobby Edner, the rap music style commercial shows a group of friends gathering change as they drive toward Taco Bell. The commercial represents Taco Bell’s first foray into movie theater advertising, featuring the ad during the opening previews of Transformers: Revenge of the Fallen and Public Enemies as well as screens in some movie theater lobbies. On July 1, 2009, Taco Bell replaced 20-year sponsor McDonald’s as the fast food partner of the NBA. Taco Bell and the NBA agreed on a 4 year deal allowing them to advertise on ABC, TNT and ESPN, and NBA-themed promotions.